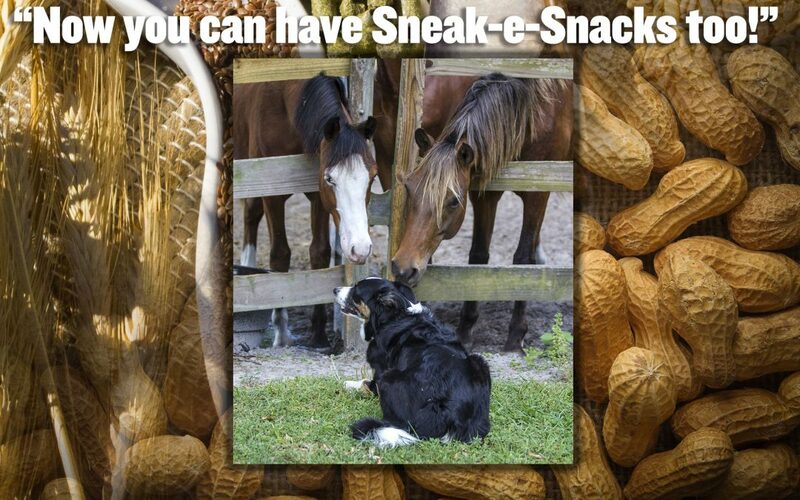 Order this special combination package so you can treat your pups and your ponies with a LARGE bag of our original Sneak-e-Snacks® All Natural Original Horse Treats PLUS a 1-pound bag of our All Natural Peanut Budders® Dog Treats! 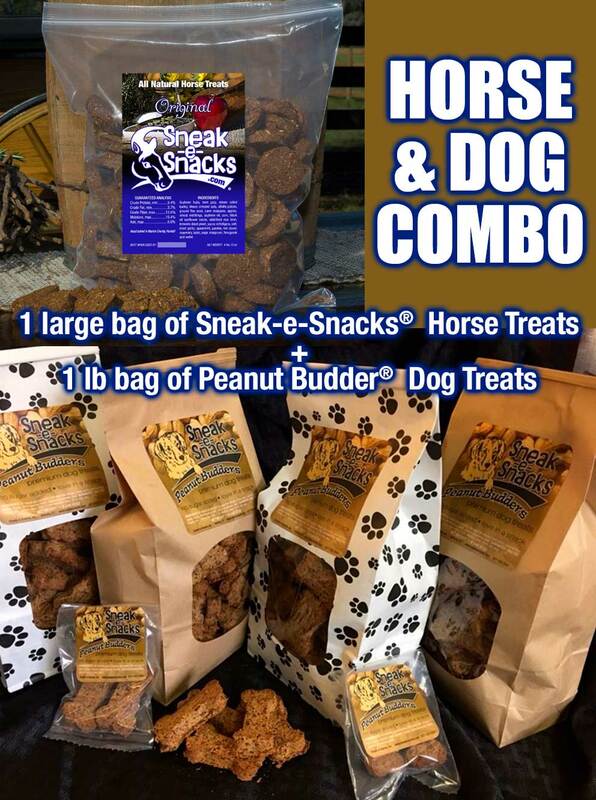 MADE IN THE USA, all of your four-legged friends will receive just what they love when the box arrives! 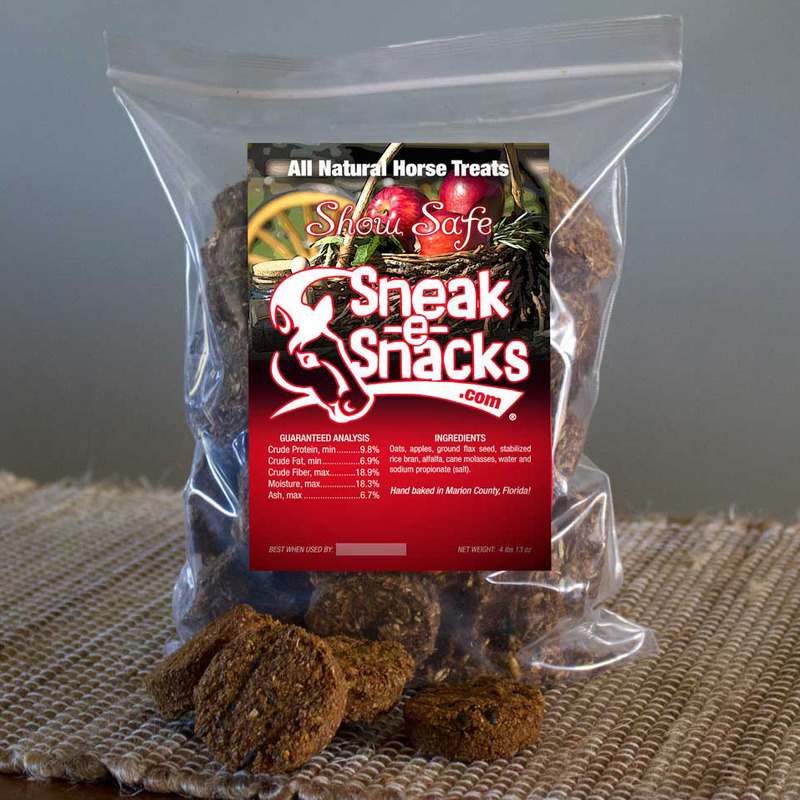 HORSE TREAT INGREDIENTS: Soybean hulls, beet pulp, steam rolled barley, steam crimped oats, alfalfa pellets, ground flax seed, cane molasses, apples, wheat middlings, soybean oil, corn, black oil sunflower seeds, stabilized rice bran, brewers dried yeast and our secret blend of delicious herbs. GUARANTEED ANALYSIS: Crude Protein, min. 9.4%; Crude Fat, min. 3.7%; Crude Fiber, max 13.6%; Moisture, max 19.4%; Ash, max 6.6%. 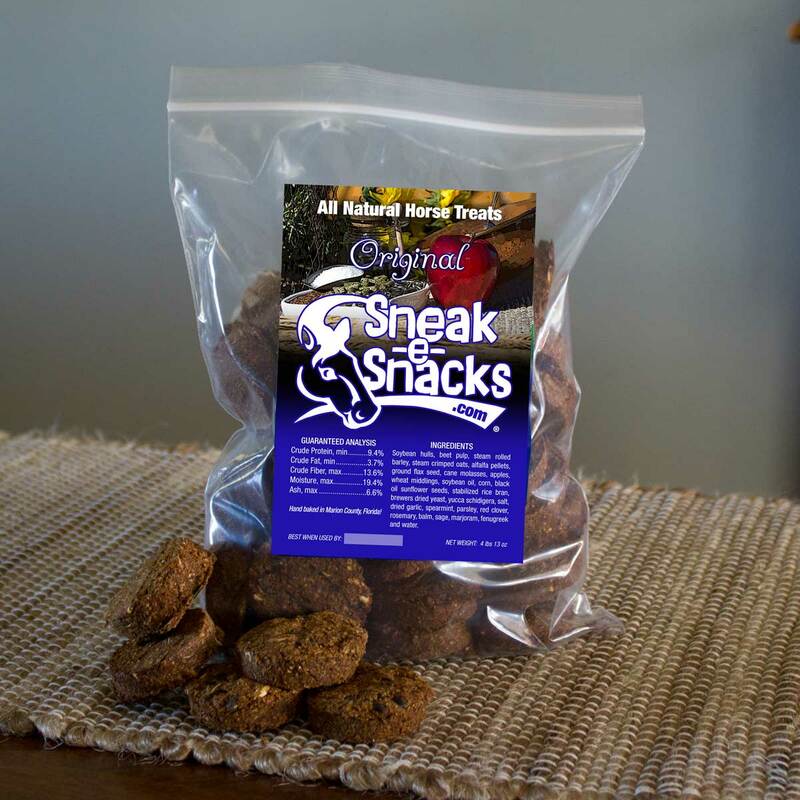 All snacks are dated for freshness. 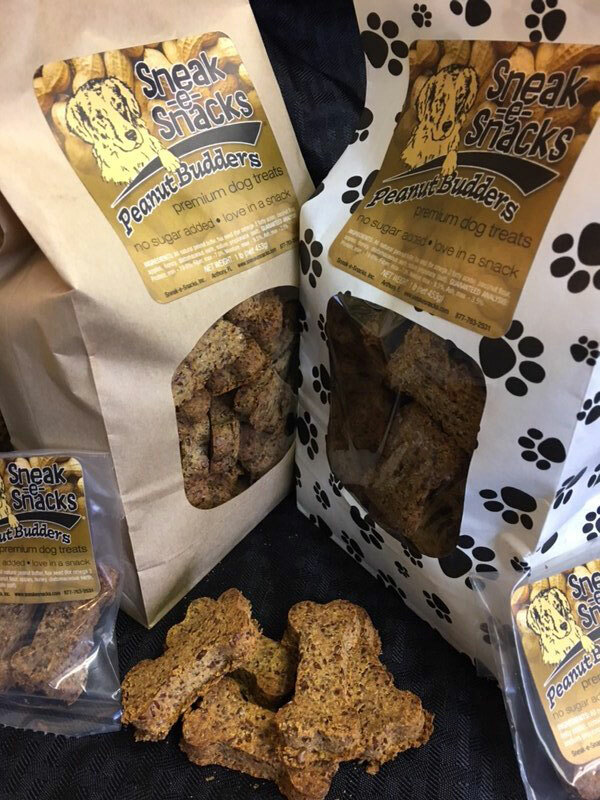 DOG TREAT INGREDIENTS: All natural peanut butter, flax seed (for omega 3 fatty acids), coconut flour, apples, honey, diatomaceous earth, sodium propionate (salt). GUARANTEED ANALYSIS: Protein, min. 19.0%; Fiber, max 7.0%; Moisture, max 9.5%; Ash, max 3.5%.